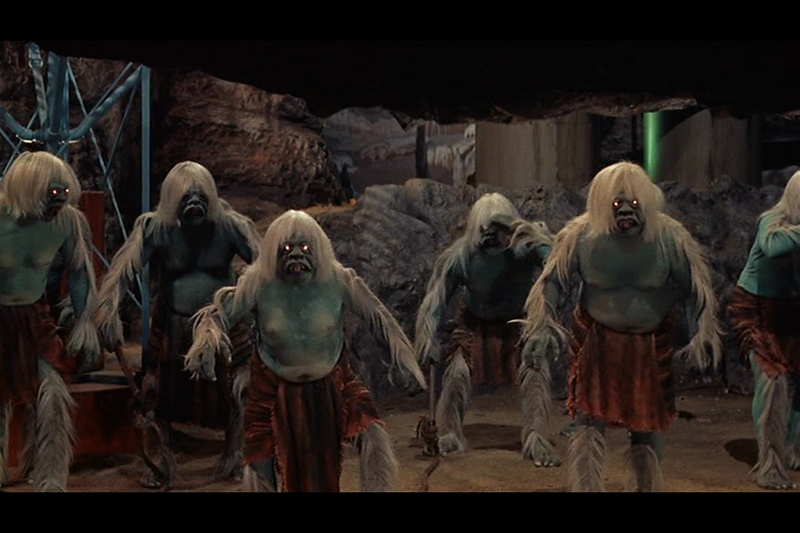 The Time Machine is a 1960 science fiction adventure picture based on the 1895 novel of the same name by noted English writer H. G. Wells, a seminal literary work which is widely acknowledged as popularising the concept of time travel with Wells also credited as coining the term "time machine" used to refer to a vehicle which makes such travel possible. 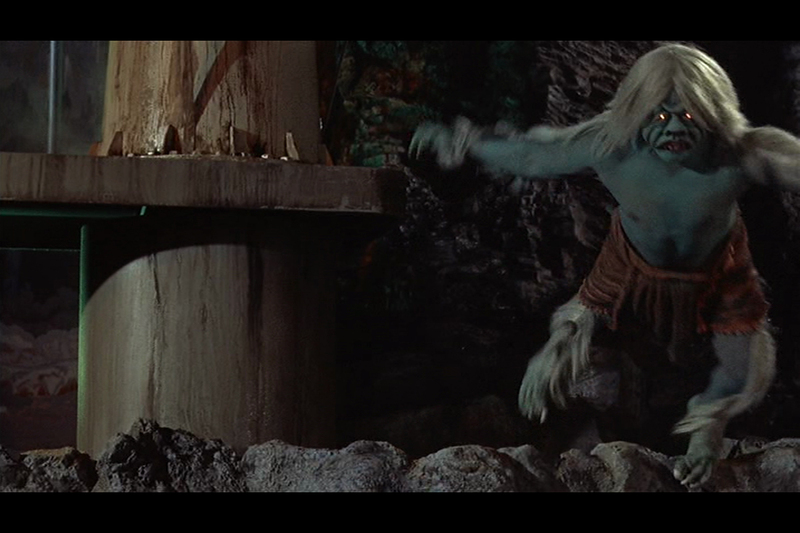 Produced and directed by George Pal the film stars Rod Taylor as George, a Victorian inventor who travels forward in time to a distant post apocalyptic future where he meets Weena (Yvette Mimieux) and discovers that mankind has descended in to two species, the passive, peaceful Eloi race and the subterranean Morlock creatures who prey upon them. 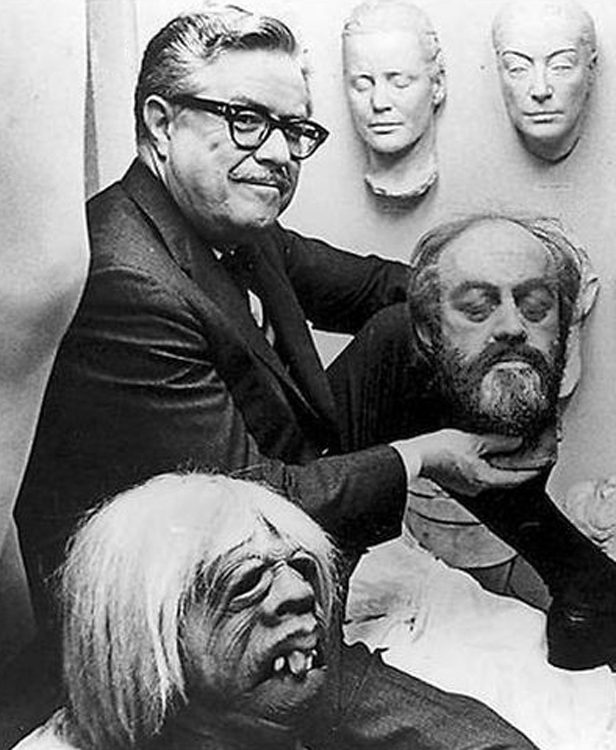 Producer and director George Pal was already well known as a pioneer in the field of stop-motion animation winning several Academy Awards and an Honorary Oscar for his innovative Puppetoons shorts before making the switch to live action with The Great Rupert (1950), he went on to produce several notable science fiction productions of the era including Destination Moon (1950), When Worlds Collide (1951) and the classic The War of the Worlds (1953) before producing and directing The Time Machine which remains a seminal work of the time travel and science fiction genres. 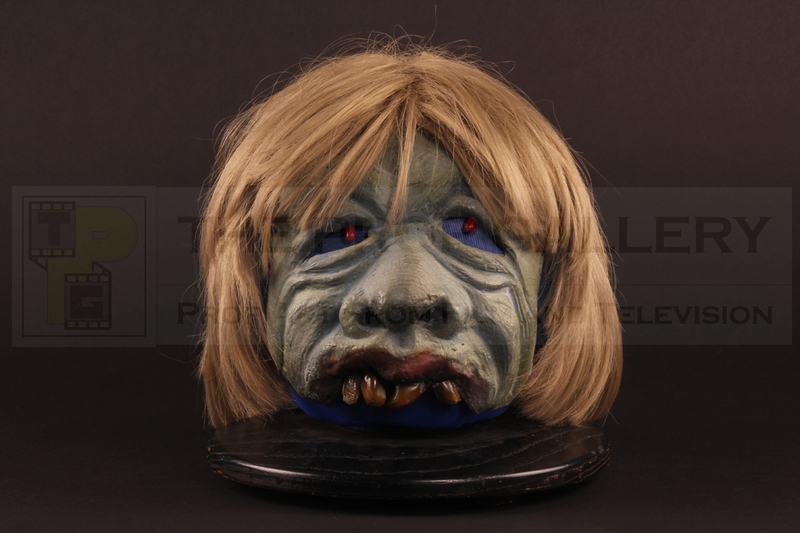 This is an original Morlock mask created by William Tuttle and used on screen in The Time Machine, for the production Tuttle sculpted a few differing versions of the Morlock masks which are easily distinguished on close inspection with this example being the principal version used in close up as the Morlocks do battle with George and also in several famous publicity shots featuring Yvette Mimieux. 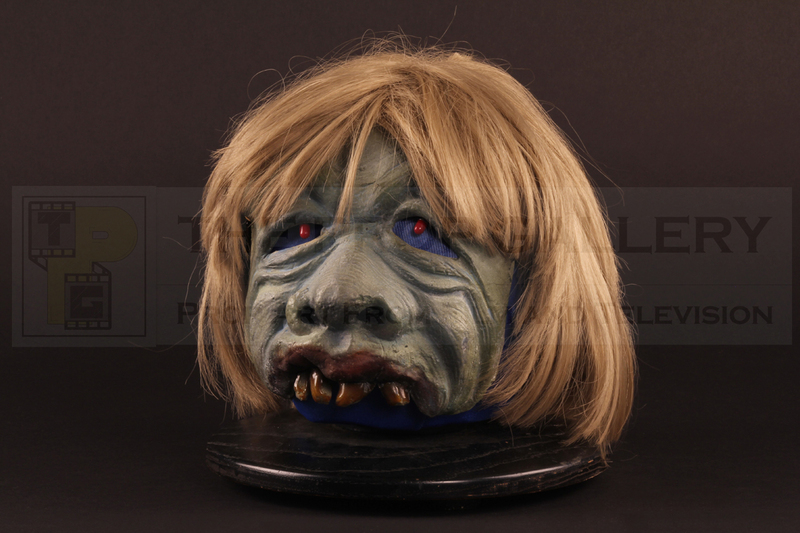 The mask is constructed from moulded vinyl and is accompanied by an original wig and the two wired bulbs used to create the red eye effect, a notable difference between this principal mask and other background masks is the additional detail of the sculpt and lack of any nostril holes given it had to stand up to close scrutiny both on screen and in high quality publicity photographs, this imperfection is clearly visible on other masks even in distance shots. 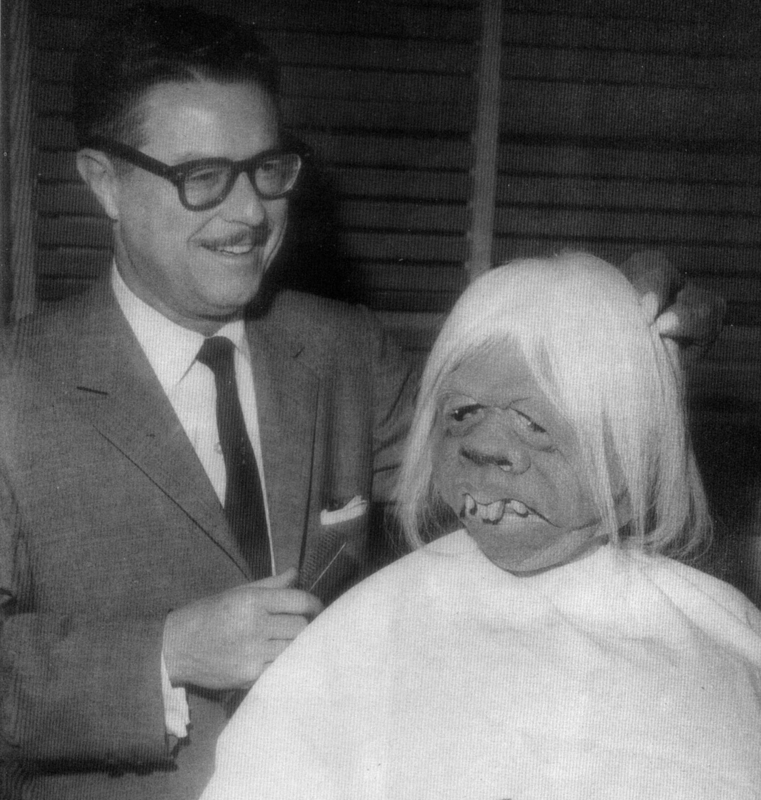 Following the production this Morlock was retained by George Pal himself and was displayed in his office on this very stand for a number of years with the remainder of his original material from the film, including the miniature time machine prop, having perished in the Bel Air Fire of 1961 which destroyed his home. 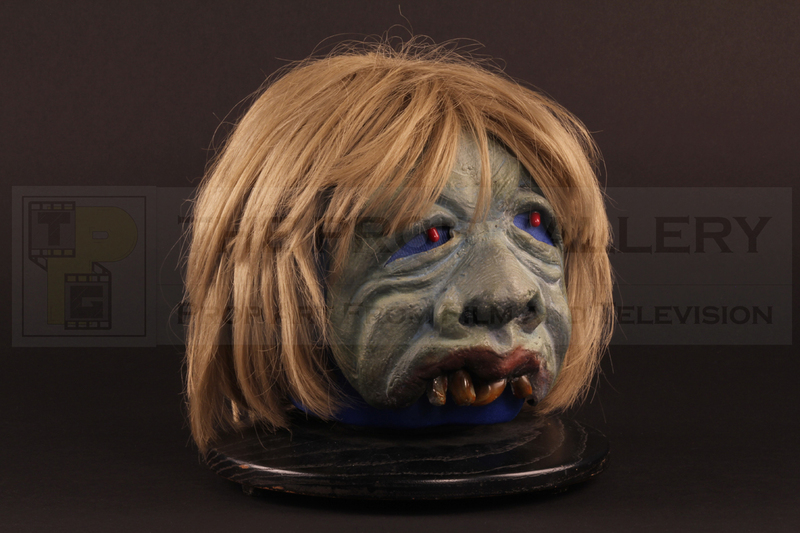 In the late 1970s George Pal became friends with an aspiring effects artist who would later become an industry professional and gifted him this Morlock during a visit to his home in the summer of 1979, over three decades later The Prop Gallery became only the third custodian of this historic piece since its creation in 1960. 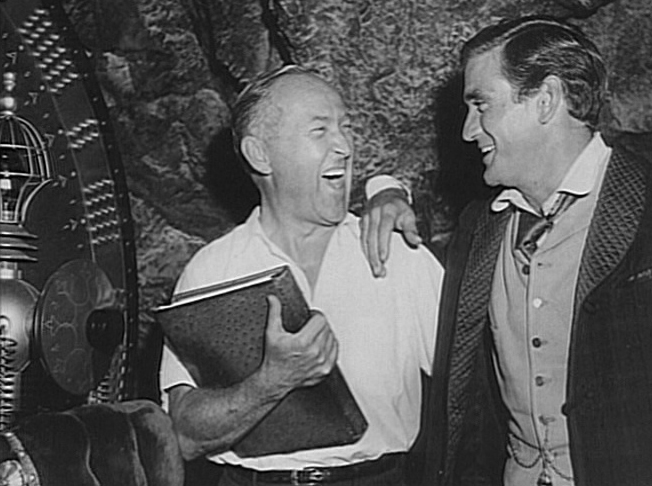 Less than a year later George Pal passed away leaving behind a legacy which will never be forgotten and a long lasting influence on the industry. 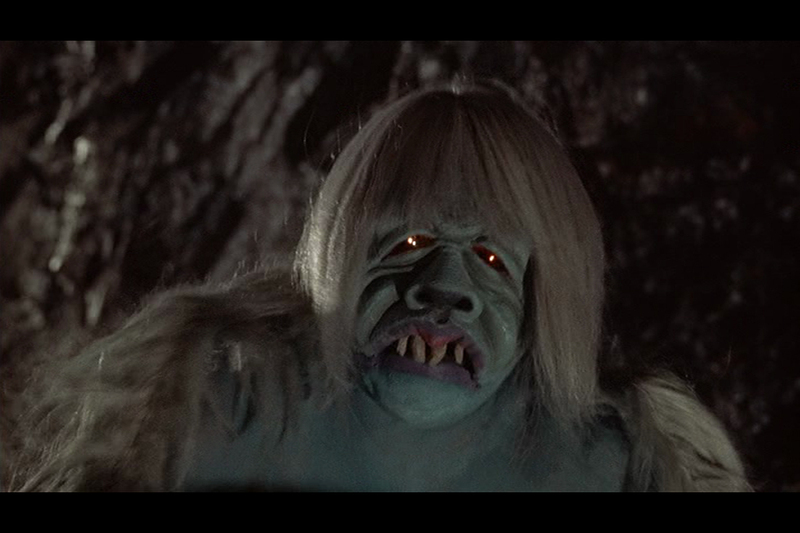 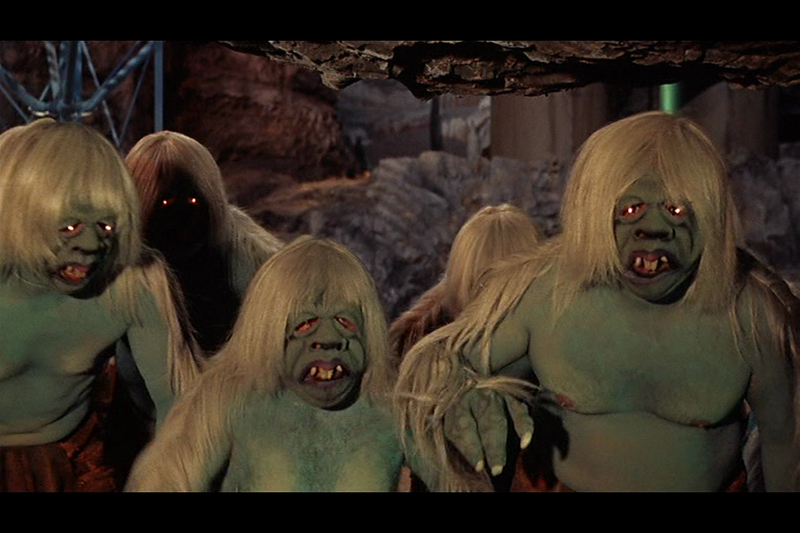 The rarity of original artefacts from The Time Machine cannot be overstated, this represents the only original screen used Morlock known to exist today and a fine relic from this distinguished science fiction classic which will forever remain a genre favourite.